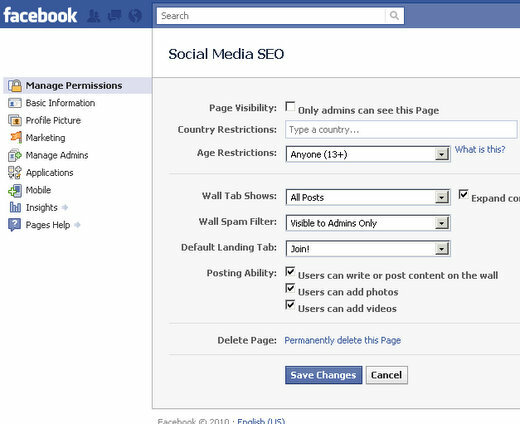 Have you noticed that Facebook created a new admin dashboard for your Facebook Fan Page. Same functions, just a different layout and scheme for admin options. All of the admin options on your Facebook Fan Page are now nicely aligned along the left hand side of your dashboard page making it easier to get to the option or application you are wanting to update. I like this change actually because before, you had to do a lot of scrolling up and down to find the option or app you want > edit it > then come back to the dashboard and find your next option. 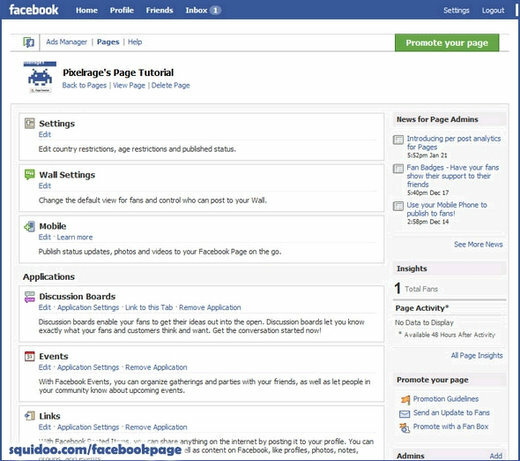 What do you think about Facebook’s new Fan Page admin dashboard layout? Have you noticed the change? It’s quite possible that Facebook is not rolling out this new dashboard to all users. I am creating a fan page with the new dashboard, how do you know now whether your fan page is public or private? How do you make the fan page visible so viewers don’t have to login to Facebook? With the default settings above, it requires you to login to see the fan page. Any ideas? (13+)” then people will have to be logged in to Facebook to see them.